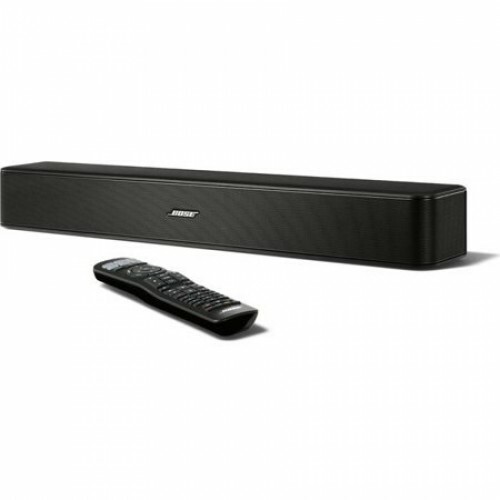 The Bose Solo 5 TV Sound System is a single-speaker system that incorporates wireless and wired device connectivity. 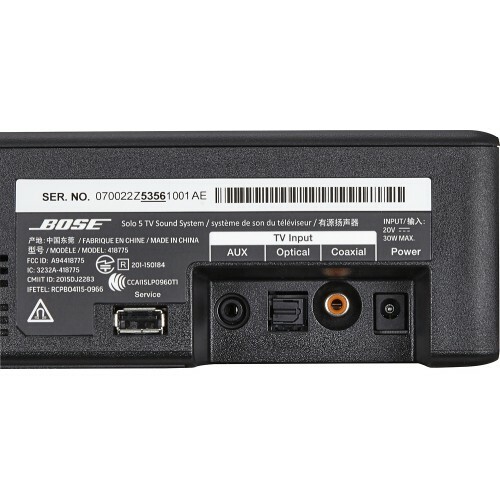 Built-in Bluetooth enables wireless music streaming from audio sources such as smartphones and tablets, while the optical, digital coaxial, and 1/8" AUX input will accept audio straight from your TV or other source.The Solo 5 offers bass control to customize your sound experience, while Dialogue Mode is designed to provide optimal sound quality for dialog-only media such as news and talk shows. It is wall mountable with the purchase of an optional mount, and includes a universal remote control.